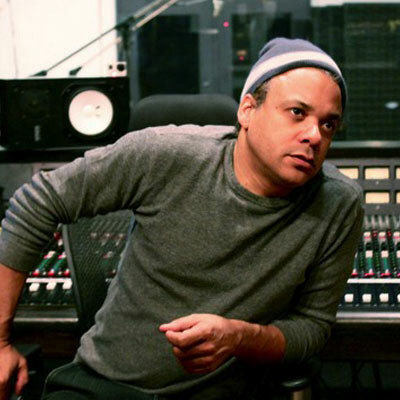 Darryl’s first session as second engineer took place in 1986 with famed production team LA and Babyface as they produced the hit song “Rock Steady” for R & B vocal group The Whispers. Within a month, he became night manager and first engineer at Silverlake Recording Studios, literally living at the studio while conducting round-the-clock sessions and learning the Trident Series 80B console.After a break to earn his bachelor’s degree from UCLA, Darryl returned to engineering full time at Straight Arrow Studios in Van Nuys, where he wrote, produced, and engineered his first major label release with Motown group Pretty in Pink (featuring Chaka Kahn’s daughter Melini Kahn ). Then, Darryl’s own group, Cultural Revolution, signed with Sony/Epic/New Deal Records and released the single “Nite & Day” on the soundtrack to the John Singleton-directed film Poetic Justice. In 1997, Darryl began writing and producing with Macy Gray, resulting in the multi-platinum album Macy Gray “On How Life Is” as well as producing her follow-up album, “The Id”. He also had the pleasure of working side by side with producer Rick Rubin who acted as Executive Producer on this record. Darryl has also worked closely in the past with Will-I-Am and the Black-Eyed-Peas, among many others. Darryl composed the score for the feature film “From The Rough” featuring actors Michael Clarke Duncan, Tom Felton of Harry Potter fame, and Taraje’ Hensen. He also was brought on board with Lionsgate Entertainment to score film and TV material for actor/comedian Kevin Hart. Darryl recently signed a world-wide book publishing deal with Hal Leonard Publishing International. First edition of “Essential Guide to Song-writing, Producing, and Recording” to be released in 2016.
music-related video game for Sony Playstation and Microsoft X-Box. At Musician’s Institute in Hollywood, he taught Music Production and Track Programming, and also lectures at the Grammy Museum in Los Angeles on Musician’s Institute’s behalf. He currently teaches “Record Production” and “Mixing” courses at UCLA in the Entertainment Studies department. Lastly, Darryl is developing a completely groundbreaking, physical music-delivery medium. It is poised to revolutionize how we perceive and enjoy audio as a whole.